Fontana del Ninfeo di Villa Giulia is located in the back of the courtyard of the Etruscan Museum (housed in the Villa Giulia National Museum building) at the end of Via di Villa Giulia, just south of Viale delle Belle Arti, at the northwest corner of Villa Borghese. 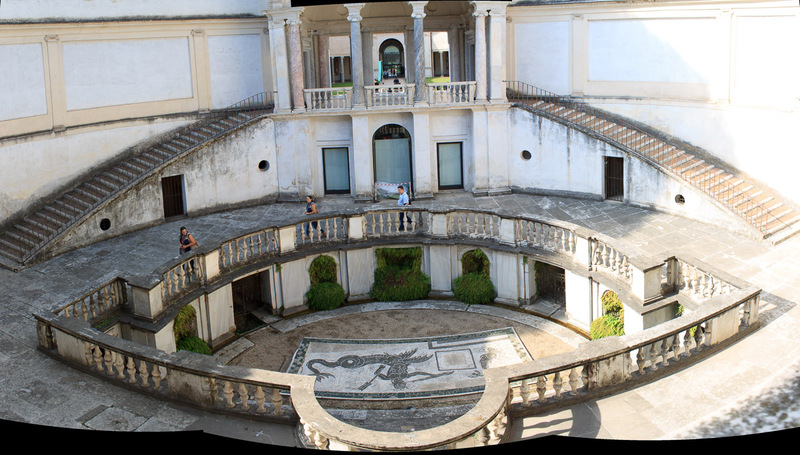 The heart of the villa complex is this two-story nymphaeum for alfresco dining during the heat of summer. 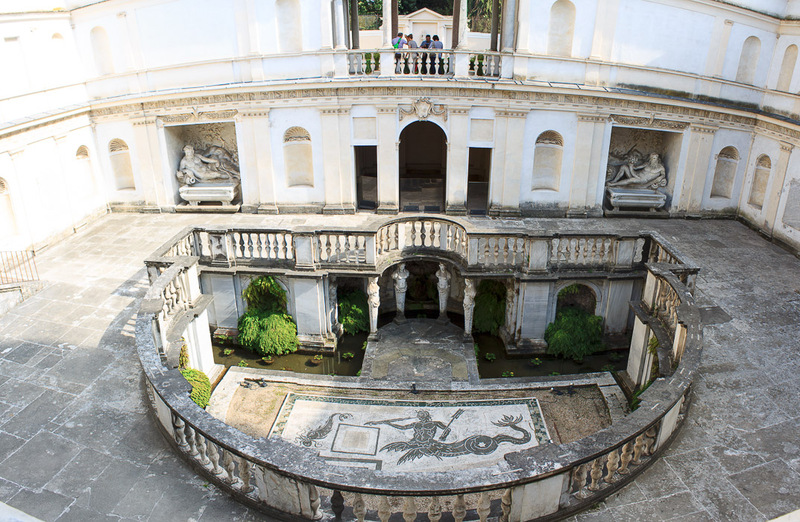 This three-levelled structure of covered loggias, decorated with marble statues, reclining river gods of the Tiber and Arno rivers in niches on the second level (1st photo below), and balustrades, was erected in 1553 by Bartolomeo Ammannati and constructed around a central fountain with a large marble mosaic floor illustrating a triton. Here in this cool environment, sheltered from the blazing Roman sun, day-long picnics would be held. The nymphaeum was restored in 2004. If you go there, don't miss the 6th century BC Apollo of Veio, in colored terracotta, in a separate room by the nymphaeum, like I did. See all Fontana del Ninfeo di Villa Giulia photos.